A Story by Renee Baker, April 9, 2009. For over 15 years, Cordell Adams has used his left brain as a skilled ophthalmologist to treat the eyes of many clients in the Dallas gay community. And after all these years of detailed left brain work, Adams has unleashed his “jealous” right brain by writing about his nosey Southern grandmother, a grandmother who might be respectfully curious to know what is going on behind closed doors. His debut novel Light Bread is currently the #1 best-selling local paperback fiction. Adams is not just a writer, but an inspirational storyteller with a heart. He realized he needed to tell his heartfelt stories several years ago after a couple of close friends of his passed away. He realized he needed to pay homage to those ancestors and friends that were near and dear to him, before time slipped away. In 2001, at 40 years of age, Adams began to write his first novel. It didn’t exactly begin as a novel, though. It started out as a memoir about his “nosey, nosey” maternal grandmother, who is a loveable heroine to Adams. But when he submitted a draft to his publisher, they recognized that it would have much broader interest if written as a novel, speaking to something universal in us all. Adams recently appeared at the Resource Center of Dallas with stage props in hand, ready to tell a story playing the role of his own grandmother, who’s “spirit” is projected into the character known as Veola Cook. We can envision his black grandmother through her life’s work, which Adams says was accomplished with “less than an 11th grade education, the gift of gab, a cast-iron skillet, and a worn-out Bible.” If we envision her peaking through the blinds on top of this, then the picture is clear. Add a few verses of scripture and you are there. Bill Fenson, the Secretary for the North Texas National Speaker’s Association, was on hand for the evening. Fenson was impressed by Adams and agrees there was something universal in Adam’s heart stories. “Even though LIGHT BREAD is a story of a period of time in the past, it brought my grandmother back to present memory too,” he says. Who doesn’t have quirky grandmother stories? Adams is known well in the gay community as someone who gives back. When guests start to arrive at the Center, it is like a family reunion with hugs and conversations flowing from memories and friendships of the past. Adams has been a strong supporter of the gay community and has been a big part of the Human Rights Campaign, Turtle Creek Chorale and AIDS Services of Dallas. 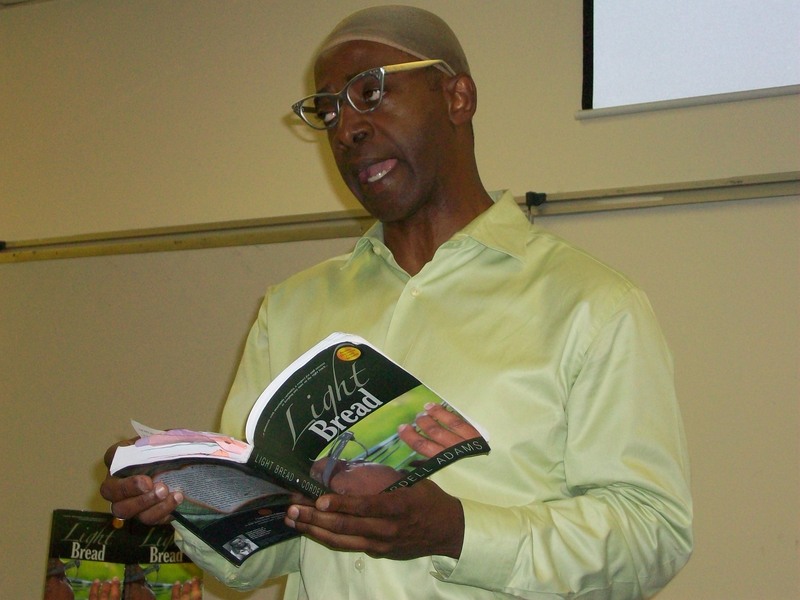 “Light Bread, a first novel by Cordell Adams, weaves a lovely story around the tumultuous 1960s in his creation of Veola Cook–a brave, Black earth mother of wisdom, warmth and wit. But Veola has the strength of goodness and godliness to offer love and comfort to those in need, regardless of the danger she faces, regardless of the unrest in America…and regardless of the color of the many who depend on her. Adams’ next appearance in the Oak Lawn area is at the Cathedral of Hope on April 26th. 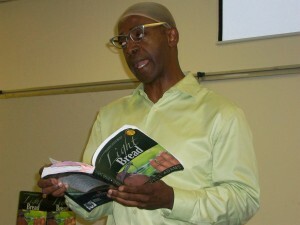 You can learn more about LIGHT BREAD and his upcoming public appearances through the publisher, Sweet Tater Pie Publishing at www.sweettaterpiepublishing.com.